Do you know a couple getting ready to tie the knot? 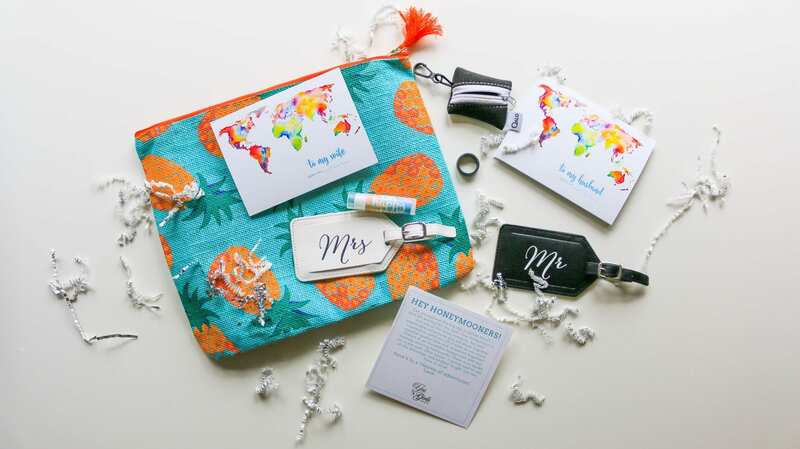 Celebrate their newlywed adventures with a surprise “Happy Honeymoon!” Gift Box by The Yes Girls. 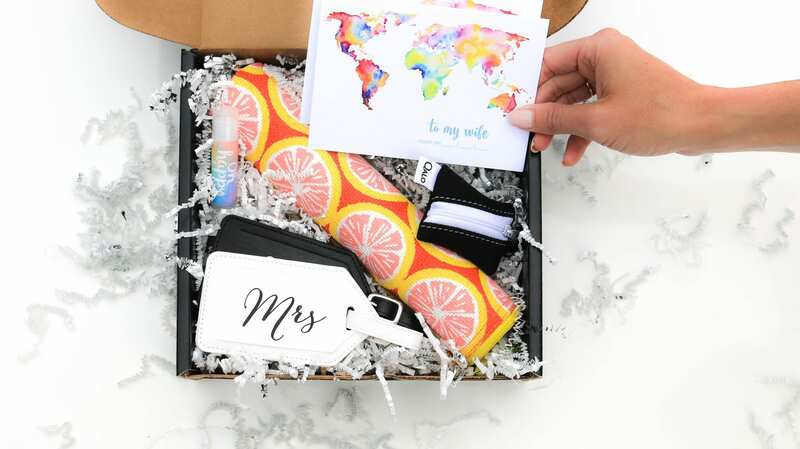 Whether you are looking for the perfect bridal shower gift or a more personal wedding present, this honeymoon gift box was created with both the bride and groom in mind! With the best honeymoon essentials, this gift is paradise perfect! 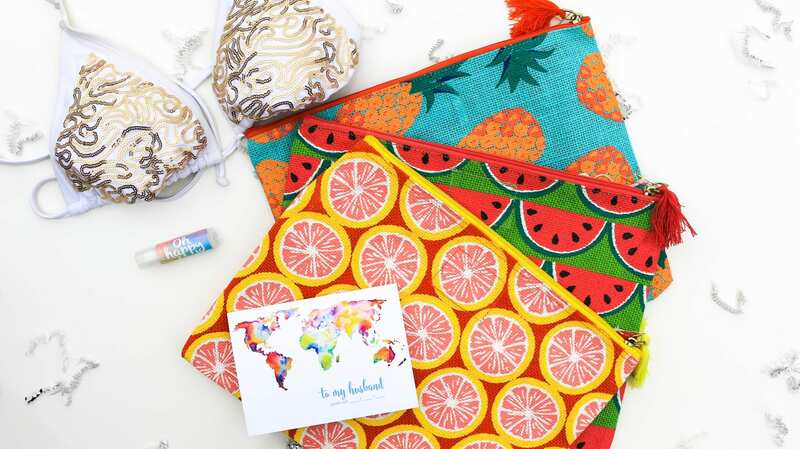 With all the honeymoon essentials, it’s perfect for a couples shower gift or wedding present! In order to create the perfect gift box we asked newlywed gals (and guys) about their most valued honeymoon essentials. We scoured our favorite brands and shops for the very best honeymoon gift ideas for him and her and put them into a box! Go ahead and pat yourself on the back because you are about to make these honeymooners day! 5 hand-selected honeymoon gifts all wrapped up in one fabulous black box and a greeting card signed with your name! 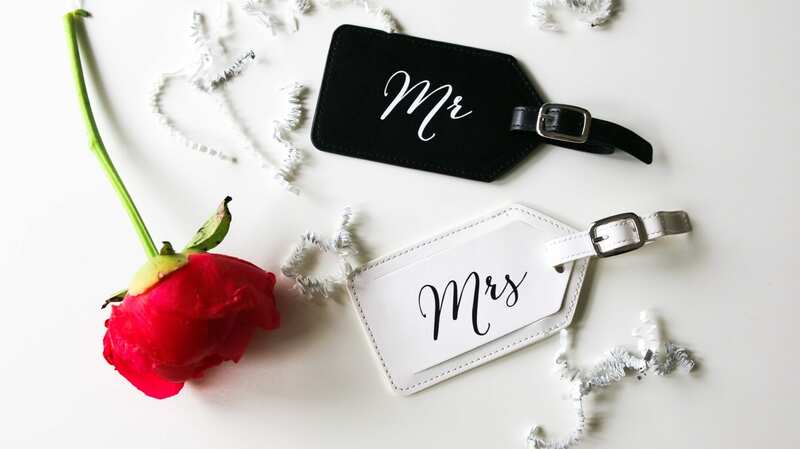 Imagine a fruit-a-lious wet bag to keep essentials dry, iconic Mr. and Mrs. luggage tags, and a Men’s QALO wedding band (because a silicon ring is ideal for travel, adventures, and keeps that new band safe). These are just a few of the unique surprises the couple could find inside. We guarantee your black box will be chock-full of prettiness (with a touch of manliness)! 2. We ship the little black box directly to your friend’s work or doorstep (not inside an ugly shipping box). If the box is for you and significant other, we can ship to you. 3. The surprise arrives! 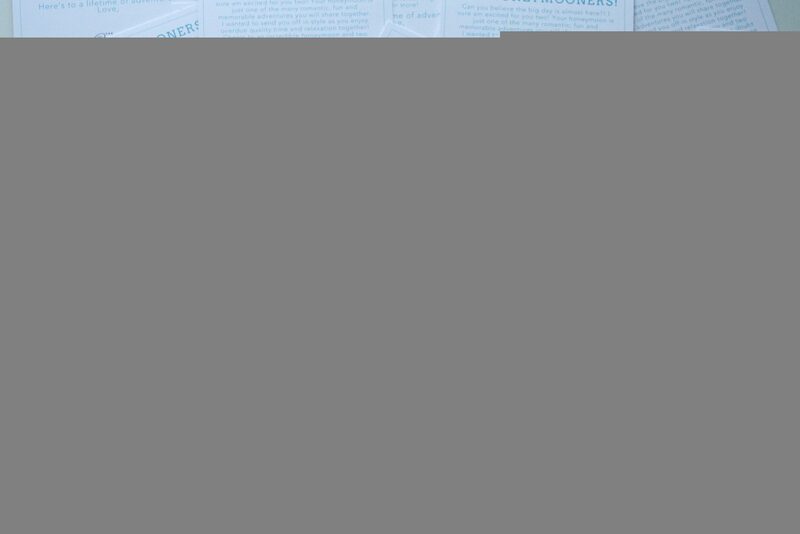 Open memorable gifts and it’s all thanks to you!